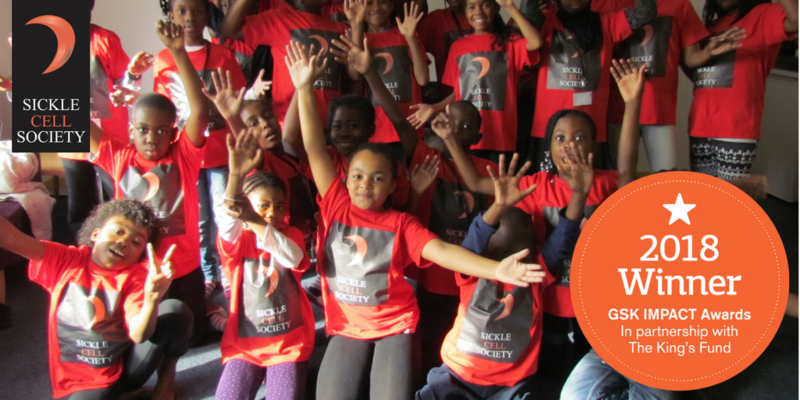 The Sickle Cell Society has won a national award for excellence! We have beaten more than 350 organisations from all over the UK to be one of the eight winners of the 2018 GSK IMPACT Awards, a national award that recognises charities that are doing excellent work to improve people’s health and wellbeing. We will receive £30,000 in funding as part of the prize, as well as expert support and development from The King’s Fund. An estimated 15,000 people in the UK have sickle cell disorder (an inherited blood disorder mainly affecting people of black African and African Caribbean heritage). The condition can cause chronic fatigue, pain, damage to vital organs and leads to early mortality. Our other services which were praised include our national telephone helpline which offers support and information, our mentoring scheme for younger people with the condition and our Breaking Down Barriers outreach programme which targets people from Portuguese-speaking and French-speaking communities. They also noted our guidelines on blood transfusions which we produced in 2016 that focused on improving the experience of people with sickle cell disorder by causing less discomfort and improving efficiency. It is estimated that this could save the NHS £13 million per year. As well as this, they praised our work to improve screening of pregnant women at risk of having a child with sickle cell. The Society’s Chief Executive, John James, said: ‘I was absolutely delighted to find out we had won. Over the past five years we think we have been doing great work with patients, their families, and our partners in the NHS, NICE [National Institute for Health and Care Excellence], and industry and so it is really good for that to be recognised. Developing leaders in the charity sector is an important aim of the GSK IMPACT Awards programme, which has now been running for more than 20 years, and the Society will have access to training and leadership development tailored to our needs. We will also be invited to join the GSK IMPACT Awards Network, a national network of almost 80 award-winning health and wellbeing charities working together to develop their leaders, find new ways of working, and support others. The Society will receive our prize at a ceremony held at the Science Museum in London in May, along with seven other GSK IMPACT Award winners. 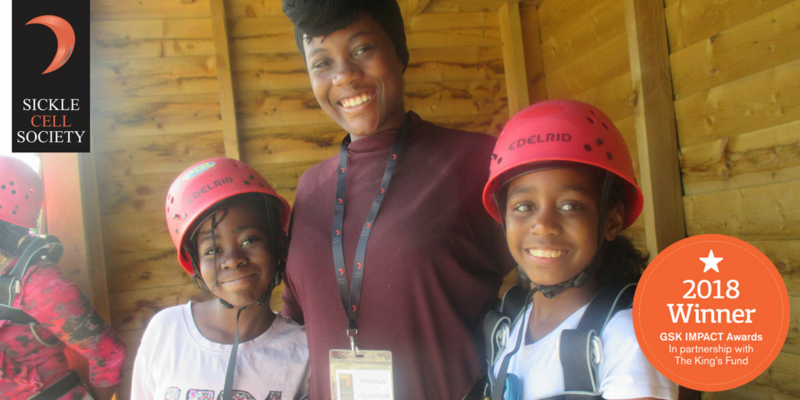 Thank you to all those who support our work and who work tirelessly to help improve the lives of those living with sickle cell.